Sorry, we are currently sold out of 'Nesco Blade Grinder'. Please check back later. The Nesco Blade Grinder is fast, easy, and compact. It has a one-touch operation for quick and simple grinding. 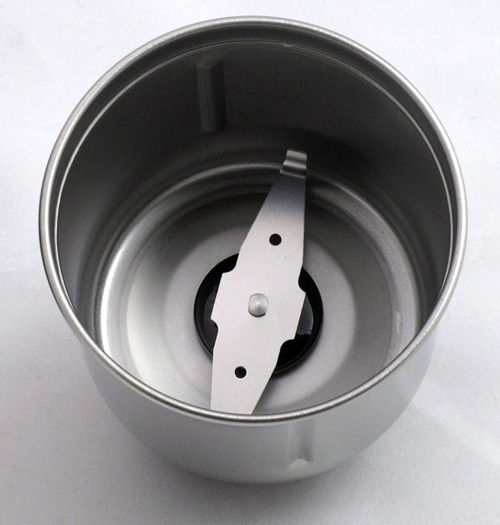 Removable stainless steel grinds cup is neat and durable. The ability to remove the grinding bowl and take it to where it's needed is a nice feature, elimating the need for unplugging and moving the entire grinder. This makes the grinder handy for spices as well as coffee, though we highly recommend owning two separate grinders if you plan to use them for two applications. Underneath is a convenient area for cord storage. Both the lid and the grinds cup are top rack dishwasher safe.